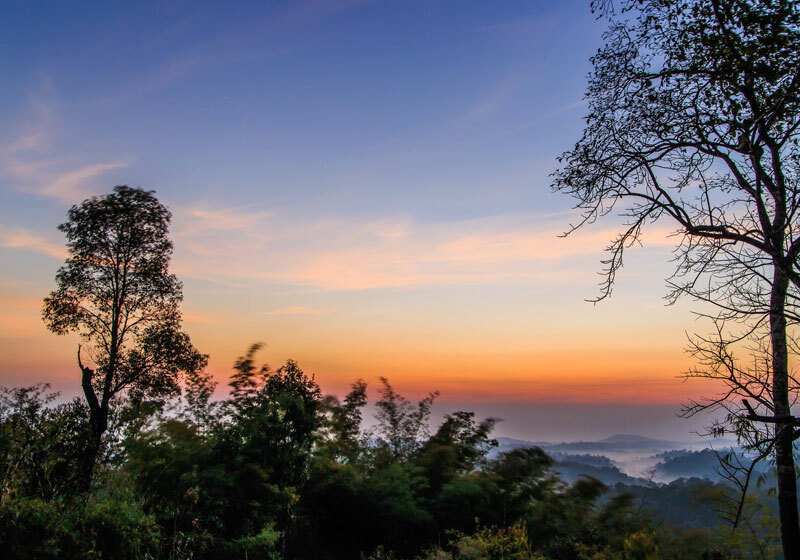 Nam Nao National Park one of Thailand most beautiful Park covers an area within Amphur Mueang Lom Sak and Lom Kow in Phetchaboon provice and Amphur Kornsan within Chaiyaphum province. The park Headquarters is in an unusual and fascinating landscape: deciduous forest dominated by tall pine trees. Nam Nao National Park covers the border between northeastern and northern Thailand. Its particularly part of the Phetchaboon mountainous range running through Chaiyaphum and Phetchaboon provinces. Phu Phajit mountain is the tallest in the Park and topography comprises evergreen forests and streams. There are many rivers and streams within this important watershed area Pa Sak River is one of these, it eventually joins the Chao Praya River, others are Pong and Loei rivers and Khon Kaen and Nam Churn streams. All these flow into the Ubonrat Dam. Short Description: Nam Nao National Park is a protected area in Nam Nao District, Phetchabun Province in northern Thailand. It is 55 kilometres east of Lom Sak District. The park is a large forest still in its original state.